As a traveller who eats (a lot), I often base my trips around food. But there is one city I’ve been avoiding. Truth is, I haven’t been back to Rome in 6 years. Despite miles of impressive architecture, I’ve been culinarily disappointed. 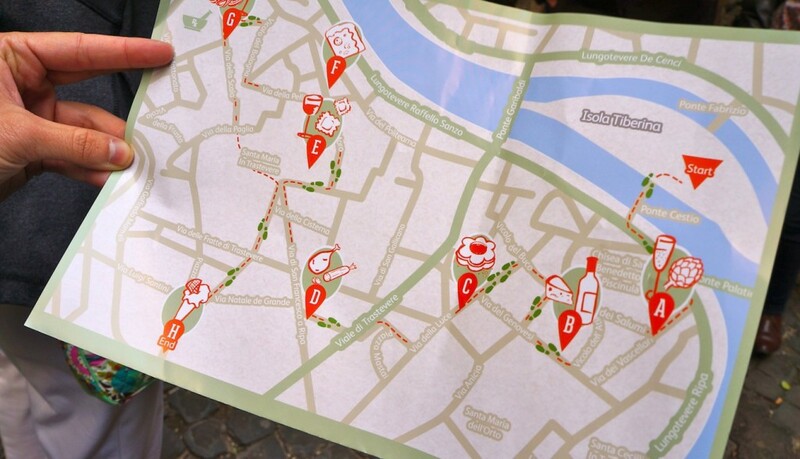 With countless McD’s and Burger Kings at every corner, finding real Italian food in Rome is a scavenger hunt. I realize fast-food joints are everywhere these days but I feel like there is a sea of them in Rome more than any other European city. Big Macs and Whoppers have made me less than eager to go back but just as Rome was about to stop calling my name, I met Kate and Maria, two locals who run a walking tour for foodies in Rome. Maria graciously invited myself and Alicia to experience their tour and sample some of their favourite foods in their city. A part of me wanted to go back. I really wanted to change my impression of Rome and I thought I owed this city another shot. So I landed my two feet back in Rome into a district I had never heard of, nor been to, before. Of all the times I travelled to Rome, I couldn’t believe I missed this. It was a secret quarter I didn’t even know existed. 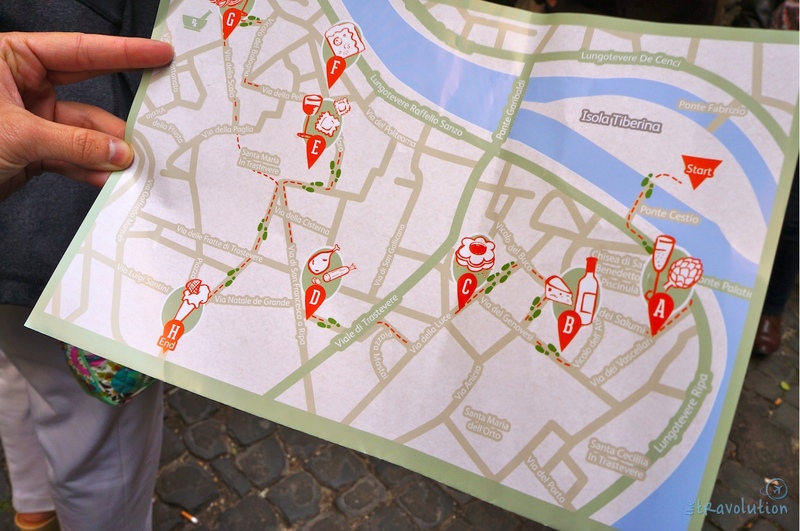 With map in hand and a good pair of walking shoes, we followed Kate through a four-hour twilight tour of Trastevere in search of the best food in all of Rome – in an area that didn’t feel like “touristy” Rome. We headed to Da Enzo on via dei Vascellari, our first stop on our food tour to prepare ourselves for what’s to come. There are two things that Italians believe is the best way to get the belly ready before a big meal. Italian Prosecco – a white, generally dry, sparkling wine – to help cleanse the palettes along with antipasto, a light traditional dish of cured meats sometimes served with fresh veggies or fruit. 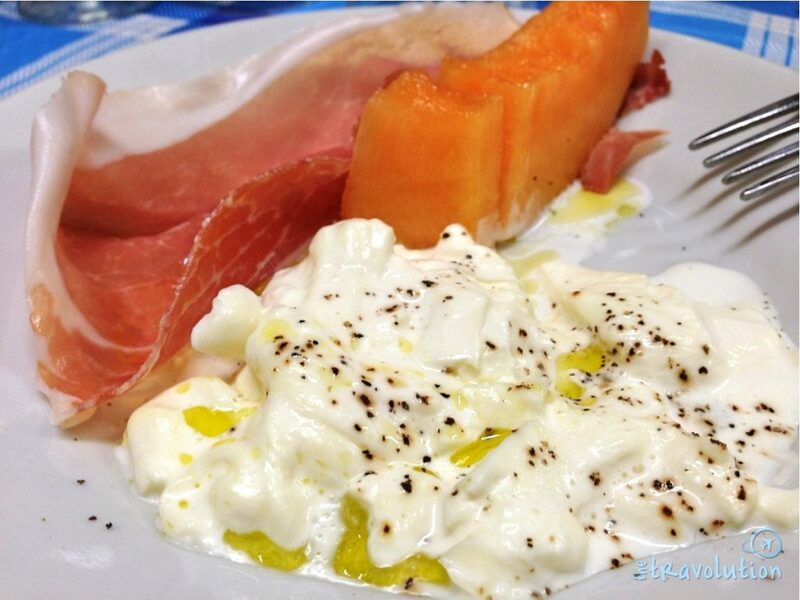 It reminded me of my antipasto lunch when I was in Tuscany but this time we sampled a plate of fresh melon wrapped in local prosciutto and creamy burrata. Da Enzo felt like I was in my grandmother’s kitchen with old rustic tables held up by wooden beams and where the chairs never match. The walls are painted yellow with shelves that hold up little old-fashioned trinkets next to their toughest bottles of spirits. Antipasto is a typical Italian dish before a big meal. Prosciutto-wrapped melon and burrata cheese. 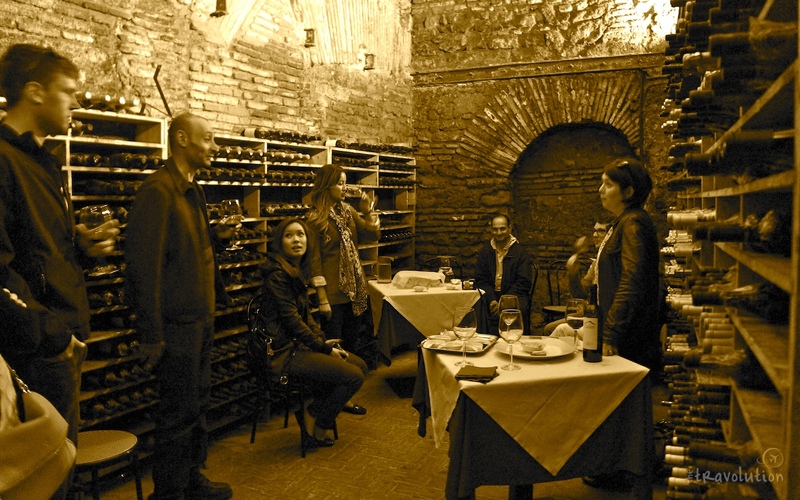 Who knew, just a few kilometres from Rome’s tourist centre is the city’s oldest wine cellar! Spirito diVino offered us a chance to taste some well-aged local wines and appreciate Italian vino in a 19th century Italian cantina! The cellar itself actually pre-dates the Colosseum! 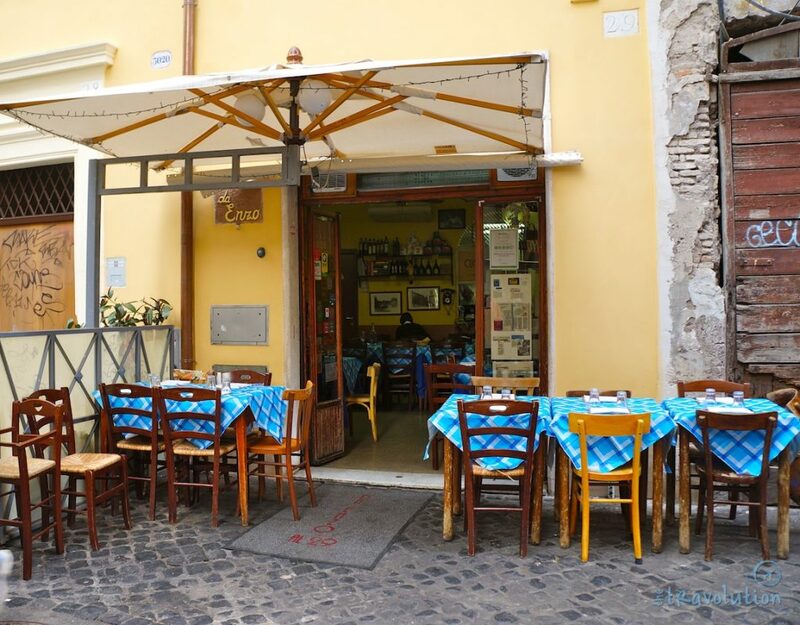 I’ve been to cantinas this charming in Tuscany but I couldn’t believe this one was in Rome! Kate and lots of vino! Every dolce vita needs to have a biscottifico in it! I thought for sure I would turn diabetic just peering through the window at Biscottificio Innocenti! It’s a family-run cookie factory since 1920! 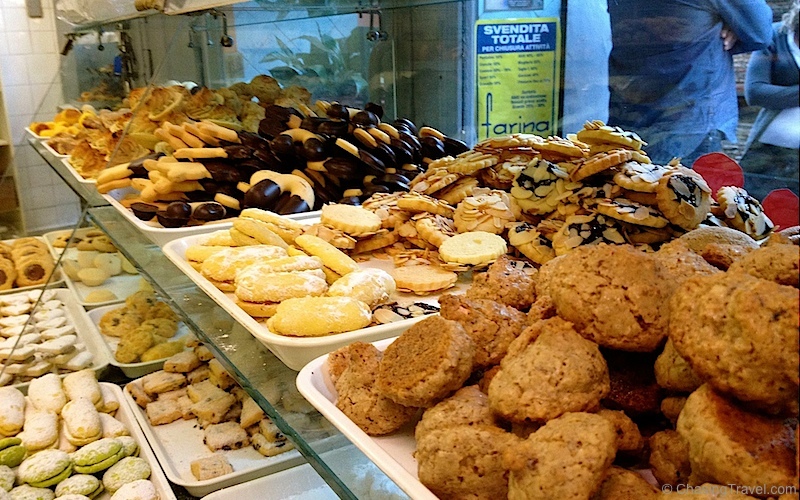 This tiny shop (it really is only a couple of square meters wide) has become well-known in Trastevere for it’s traditionally baked cookies which they make with the same cookie machine they’ve used since 1950! Here you’ll get delicious timeless desserts served by the two sweetest ladies in Trastevere! One of my favourite things about this tour was meeting the locals who live in the neighbourhood. 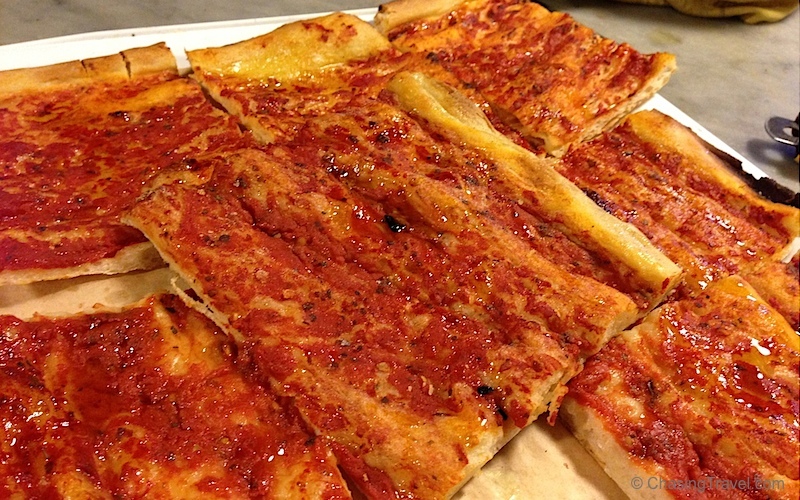 Antica Caciare and Roberto have become legendary in Trastevere. So much so that locals call him Signore Roberto. 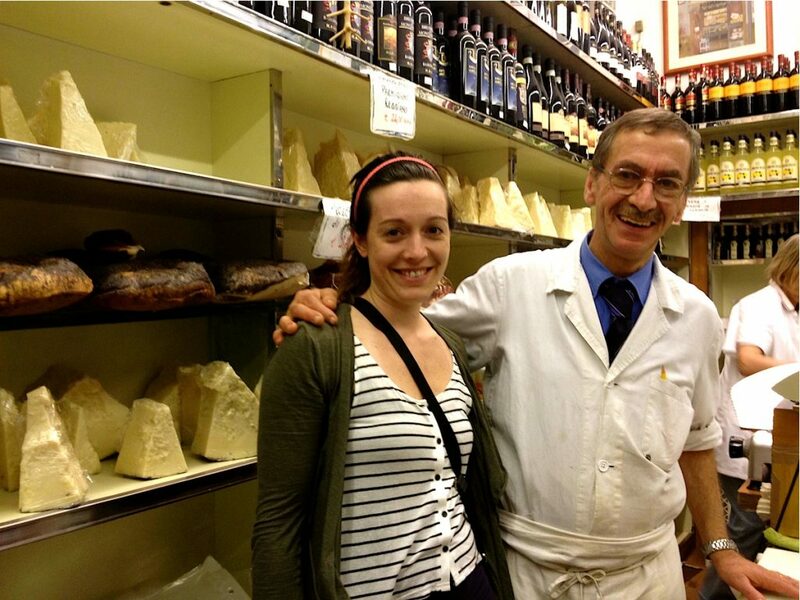 His small, family-run alimentare on via San Francesco a Ripa has been open since 1900! 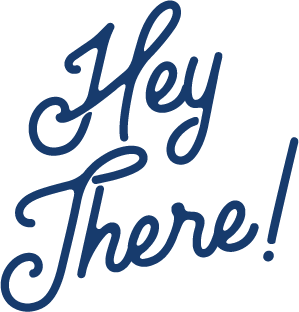 Locals come here to pick up specialty foods made right in the Lazio region. You can pick up some pecorino cheese, guanciale bacon, vino, or grandfather’s balls. Signore Roberto is one of the friendliest shopkeepers we met in the neighbourhood. Pizzerias are a dime a dozen in Rome but few are as unique as the one I found in Trastevere. 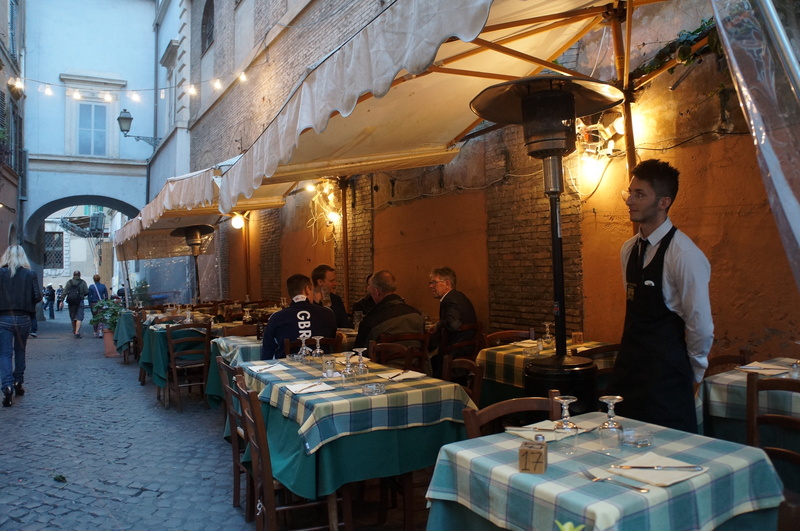 La Renella is Trastevere’s rustic pizza shop, where the owner lets you slip in through the backdoor! The oven here is older than Italy itself, dating back to the era of Julius Caesar! Most people think wood or coal-burning ovens are the traditional way of baking pizza but it is actually with hazelnut shells! The result? A pizza with a hazelnut scent that’s crunchy on the outside, soft and savoury on the inside. After so many years, it’s impressive that an oven could still turn out such delicious pizza! Having grown up on Italian food, pasta is one of those dishes that make my eyebrows shift in a funny way at so-called “Italian” restaurants. It still surprises me when chefs cook them with cream, especially carbonara. Authentic carbonara is made with only 3 ingredients – egg, Italian bacon or pancetta, and grated cheese like parmigiano or pecorino sheep cheese. Because of its simplicity to make, it was often used to fuel blue-collar workers during Italy’s unification. 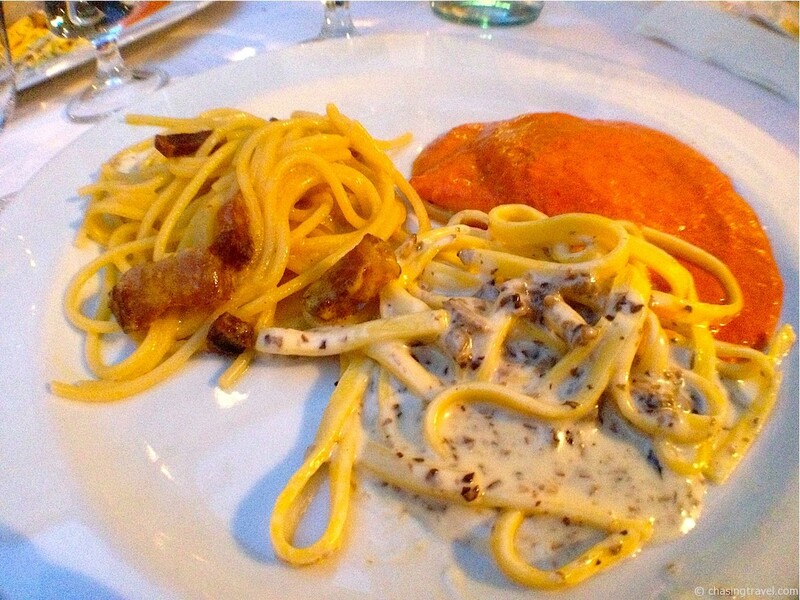 In Trastevere, Osteria Der Belli makes carbonara just the way it originated. There is bad gelato in Italy and then there is good gelato. Yes, even in Italy some gelato is fake. If you don’t know the difference (see my guide on how to find real Italian gelato just head to Fatamorgana where you’re guaranteed to get the good stuff. This shop has endless rows upon rows of creamy flavours and even caters to specialty diets like non-lactose or gluten-free. 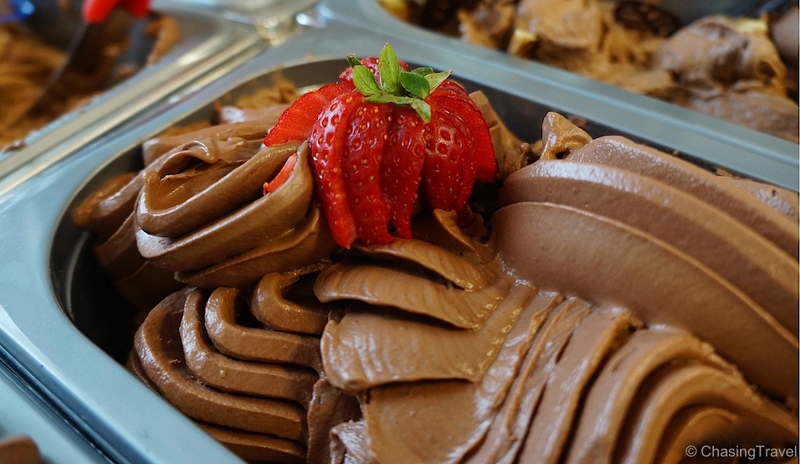 Their classic gelato is churned with 3 basic ingredients of milk, cream, and sugar. That’s it! No filler. No artificial colours. Niente. Of the dozens of flavours you can get at Fatamorgana, it’s hard to pick just one. My favourite is Ecstasy – all the flavours are heavenly but this one is next level. They really do know how to make gelato. I finally found the best Italian food in all of Rome and it happens to be in Trastevere! My Eating Europe tour was more than just a food tour. It was an experience into authentic and local life in Rome, finally a different side from the touristy kind that I had known. For the first time, I didn’t smell any Whoppers and didn’t even see a Big Arch! Not one! Just real people and real food. 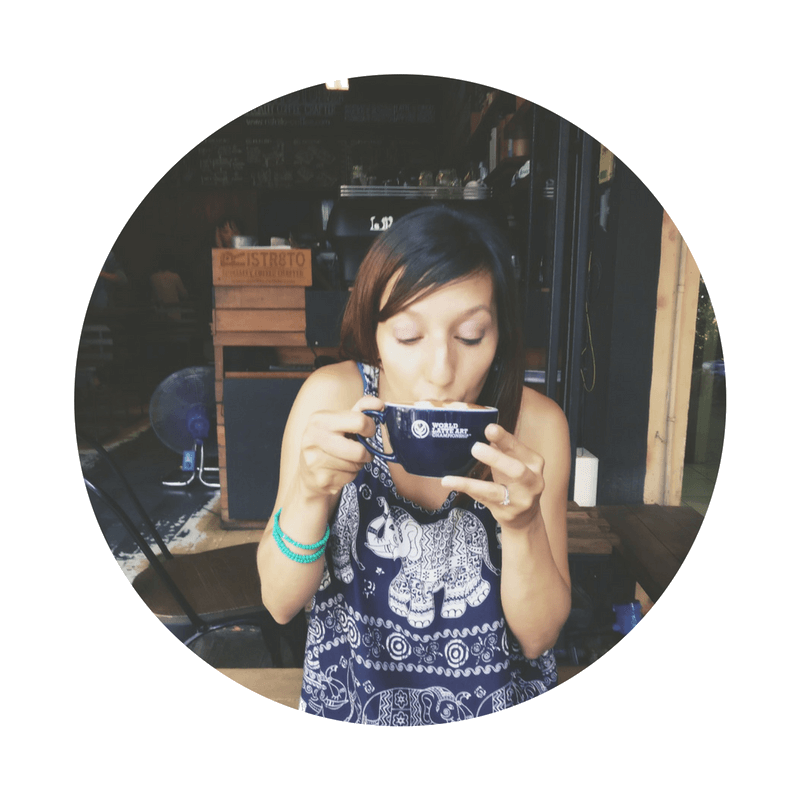 From the perspective of a local, Kate and Maria introduce you to a neighbourhood tourists rarely go, where you can meet the families that own the shops, hear their stories, and share their passion for food. The four-hour twilight tour was thee best organized food tour I’ve been on, where you really get to immerse deep into a culture and way of life. I thought I was ready to give up on Rome but I could actually see myself living here some day. City Life Rome Bed n’ Breakfast is a short walk from the Termini train station where you are likely to arrive from the airport shuttle. The rooms are spacious and impeccably clean. It feels more like a boutique hotel. The Beehive is a luxury hostel, also near Termini, complete with private rooms for independent travellers, a courtyard garden, organic breakfast with homemade bread, and activities like yoga and pasta-making class. It’s run by Linda and Steve, a wonderful couple who followed their dream 20 years ago to open their own hostel in Rome. They will go out of their way to make you feel at home. It’s only a 20 minute walk to major sights like the Trevi Fountain and Colosseum. Is there a city you owe a second chance to? Thank you Eating Europe for reviving my passion for eating in Rome, and making me fall in love with Trastevere. Nice place to visit with family. Plan for this exciting place easily during your weekend. Nice food for pictures very beautiful design and looks so yummy!